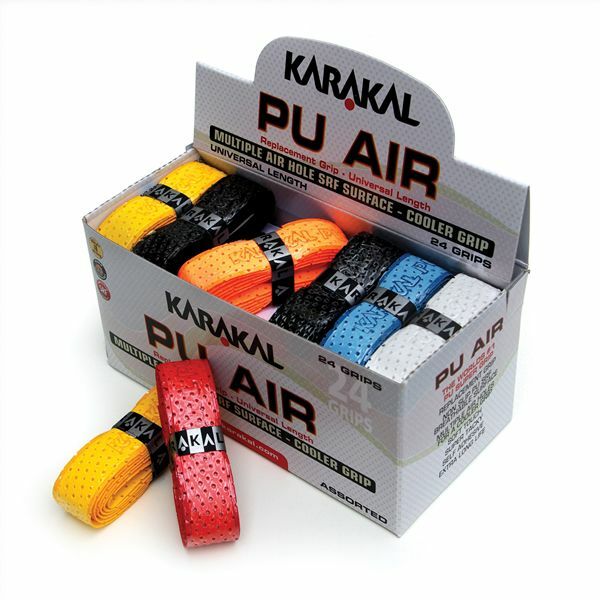 This extra-tacky, self-adhesive PU Air replacement grip from Karakal ensures great gripability and features a non-slip Slow Release Formula surface. It offers large lattice airholes for a cool grip and provides improved control. The grip has universal length making it suitable for all racket types and comes in a box of 24 (assorted colours). for submitting product information about Karakal PU Air Replacement Grip - Box of 24 We aim to answer all questions within 2-3 days. 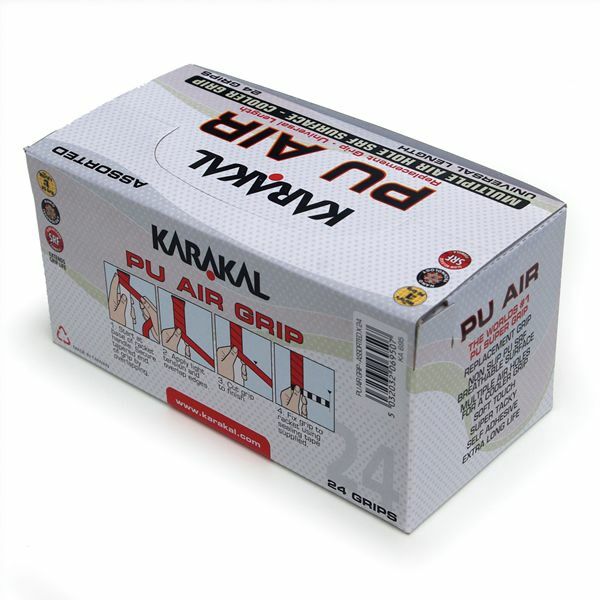 for submitting product information about Karakal PU Air Replacement Grip - Box of 24. We aim to answer all questions within 2-3 days. If you provided your name and email address, we will email you as soon as the answer is published. 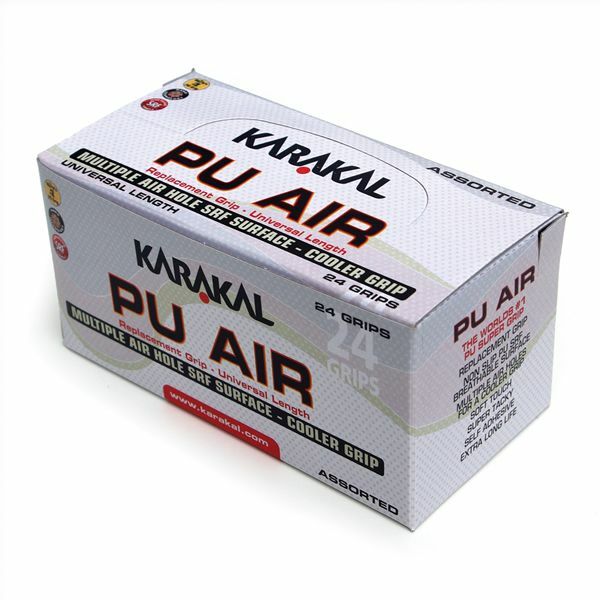 for submitting product review about Karakal PU Air Replacement Grip - Box of 24.